BLYTH, ON – Cowbell Brewing has announced details of the 16th release in its Renegade Series of limited edition draught-only beers. The aroma of the New England Imperial IPA Braggot begins powerfully with passionfruit, mango, grapefruit and orange juice, and a zingy shot of pineapple and light touch of honey. The first sips of this glass of delicious beer deliver a rush of hops. Honey crisp cereal creates a base, but juicy, fruit sensations plow in with oranges, mango and green grapes and a pleasing grapefruit tang, balanced by body and gentle sweetness. 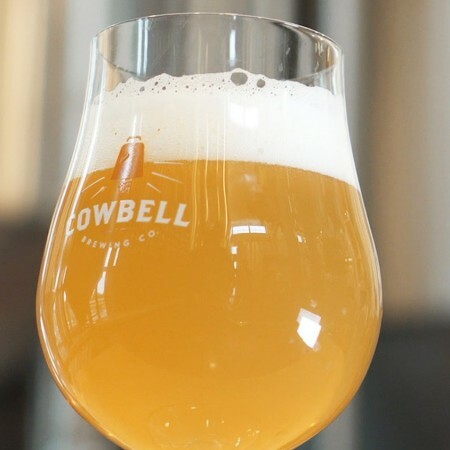 New England Imperial IPA Braggot will be available starting next week in the Cowbell taproom in Blyth, and at select bars in Ontario, while supplies last.